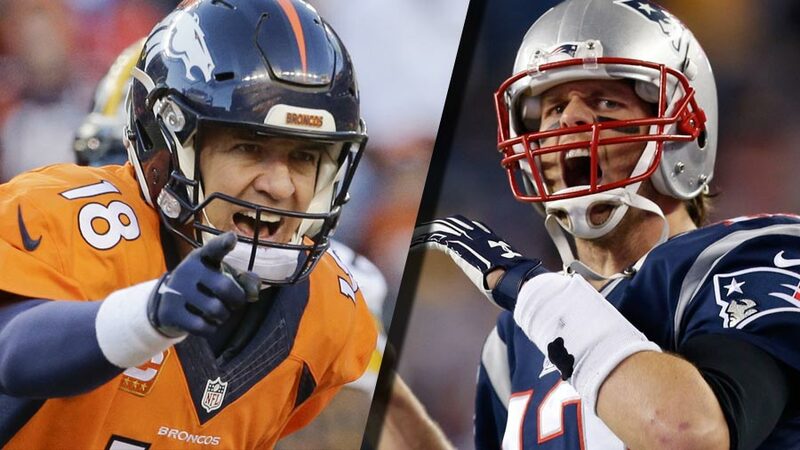 Home/Uncategorized/Is there anything better in sports than rivalries? The city of Boston is arguably part of the three greatest rivalries in professional sports, although all three have been lopsided in different ways. The Bruins-Montreal Canadiens, Red Sox-New York Yankees and Celtics-Los Angeles Lakers are commonly identified as the greatest rivalry in their respective sport. Since 1928, the Bruins and Canadiens have played more regular season games head-to-head than any other teams. They have met in the playoffs an astounding 34 times including nine Game 7’s. Montreal has a 25-9 record and over a 42 year stretch from 1945-1987, they beat the Bruins 18 consecutive times. Meanwhile, Montreal has 23 Stanley Cups, 10 more than any opponent and 17 more than the Boston Bruins. Sports journalists and casual baseball fans have often referred to the NY Yankees – Boston Red Sox rivalry as the greatest in all of sports. The Red Sox became the first team in MLB to erase a 3-0 playoff deficit courtesy of the Yankees en route to their first World Series in 86 years. The Red Sox sold Babe Ruth to New York for a bag of balls and you know the rest. The Dodger and Giants as well as Cubs and Cardinals have played each other slightly more often, but the storylines for these rivalries simply don’t match Red Sox-Yankees. One of the unique things about the Celtics-Lakers rivalry is that is extremely rare for rivals to play in two separate conferences but to have the storied history against one another these teams have. The overall record favors the Celtics but is relatively close. What makes this rivalry lopsided is that head-to-head in the championship, they have played 12 times (closest is Lakers-Philadelphia 76’ers who have played four times) and the Celtics are 9-3 in those matchups. So nine of the Celtics 17 championships came against L.A. where 13 of the 16 for L.A. came against inferior competition…couldn’t help myself sorry. But what truly defined Celtics-Lakers has been the subplots involving player rivalries. Wilt Chamberlain and Bill Russell, Magic Johnson and Larry Bird and to a lesser extent Kobe Bryant and Paul Pierce. And now we ready ourselves for what could be the last time we get to see arguably the greatest player rivalry ever as Tom Brady leads the New England Patriots against Peyton Manning’s Denver Broncos for the AFC Championship and the right to play in what the Romans tell me is Super Bowl L.
Brady and Manning have owned the NFL landscape for the last 15 years and couldn’t be more different from one another. Brady was an afterthought as a hopeful backup for incumbent Drew Bledsoe, a sixth round pick who boldly told Robert Kraft when they first met that drafting him was the greatest decision Kraft has ever made. Manning was drafted first and was billed as the savior for a Colts franchise who had endured back-to-back 3-13 seasons. They have played 16 times and Brady is 11-5. Brady has been to six Super Bowls with a 4-2 record and two plays away from 6-0. Manning has been to three Super Bowls with his lone win coming against an inferior Rex Grossman led Chicago Bears team and losing by a combined seven touchdowns in his other two appearances. Manning is 12-13 all time in the playoffs and has an astounding nine one-and-dones. He has thrown 38 touchdowns and 24 interceptions. His best ever playoff performance was when he threw for 400 yards, two touchdowns and no interception in a flawless performance when the Broncos beat the Pats 26-16 to advance to Super Bowl 48. Brady is 22-8 all time in the playoffs, has two one-and-dones and has thrown for 55 touchdowns and 26 interceptions. Brady has had a handful of elite weapons over the course of his career like Randy Moss and Rob Gronkowski and has made his slot receivers and pass-catching running backs famous. Manning has had Hall-of-Famers like Marvin Harrison and Reggie Wayne and now has elite receivers like Demaryius Thomas and Emmanuel Sanders. Brady thrives in the cold and Manning is scared of it. Brady has a beautiful wife while Manning’s wife orders his HGH for him. Brady has been able to rely on reliable and clutch defenses over the course of his career while Manning has never had the luxury of a defense like he has this year. Manning has 13,912 more passing yards, 111 more touchdowns and 101 more interceptions and three more regular season MVP’s in 41 more games. They have a combined 34 rush touchdowns…go figure. Brady is hoping that Julian Edelman doesn’t turn into Kevin McHale in the 1987 NBA Finals playing on a broken foot. He is hoping that Gronkowski doesn’t get taken out at the knees and that he doesn’t see three teammates carted off the field like what seems to be every other game this season. Manning is hoping that C.J. Anderson and Ronnie Hillman can channel their inner Terrell Davis. Brady hopes that Denver doesn’t continue to be his house of horrors with six losses in eight visits. He has lost to Brian Griese, Jake Plummer twice, Kyle Orton and what should have been a star-struck Brock Osweiler. Manning is hoping he can play like any one of the aforementioned quarterbacks and not like the guy who threw nine touchdowns and seventeen interceptions in the regular season…okay maybe not Griese. But recent history tells a different story. The last four playoff meetings have been split. Manning is 2-1 in the AFC Championship in the last three head-to-head matchups and Brady hasn’t beaten Manning in the playoffs since 2006. Brady is on a mission and has a mountain-sized chip on his shoulder due to Deflategate and the allegations that dogged him throughout the offseason that tainted his good name. Manning is fending off accusations about HGH. Brady is bidding for an unprecedented fifth Super Bowl win as a quarterback and seventh Super Bowl appearance. Manning is hoping his neck stays fused together and the defense can cover for his shortcomings and age to get him to a fourth Super Bowl. The Patriots were 4-8 in their first 12 playoff games in franchise history and are 25-10 since. Denver was 2-6 in their first eight playoff games and are 5-8 in their last 13. If the Patriots can keep their key players on the field in this game (Edelman, Gronkowski, Hightower, Collins and Chandler Jones), they win. If one or two of those guys go off, they will be in trouble. Denver needs Thomas to not get shut down by Logan Ryan, but their defense is absolutely good enough to hide Manning’s shortcomings. Manning he has a chance to alter his legacy as a losing playoff quarterback. Brady has a chance to cement his legacy as the most successful quarterback ever. Either way, sit back and enjoy what could be the last time we get to enjoy this special rivalry.